D.C. Police Chief Kathy Lanier said she can still fit into the same uniform she wore 24 years ago when she joined the force. And, she said, she's trying -- again -- to quit smoking. 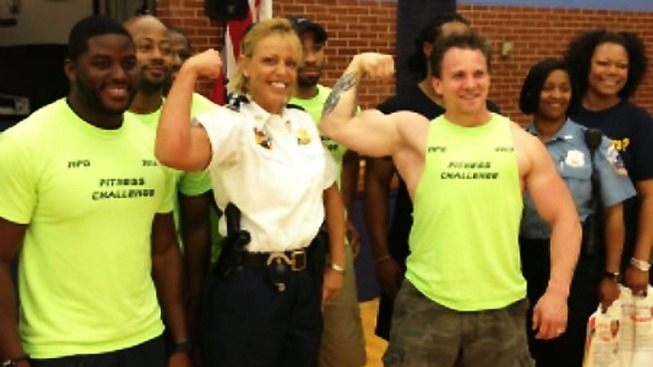 Lanier talked about her own fitness as she helped kickoff The Metropolitan Police Department’s Sixth Annual Fitness Challenge on Monday. The wellness program encourages officers to improve their overall health by maintaining a healthy lifestyle and discovering any health related problems by consulting with health professionals. The event included weigh-ins, screenings, and fitness demonstrations. Lanier, 45, says she hasn’t smoked in 10 weeks. This is her latest effort to stop smoking.